Brandi Mack is a holistic health educator, therapeutic massage therapist, birth consultant , master gardener and permaculture designer. She holds a bachelor's degree in Human Service Management, and a permaculture certification from Starhawk's Earth Activist Training. Brandi is motivated to work in community, particularly with women and girls. Brandi came from a broken household, and experienced a good deal of trauma and transition during her growing up years. Despite this, she overcame multiple obstacles and was truly enriched and empowered by many caring people within the African American communities in which she was raised. These experiences gave rise to her thirst for social justice and community work. Although she disliked living and working on her grandparents farm in Oroville,CA. It was a place where she gained healing and coping skills based in the natural environment. 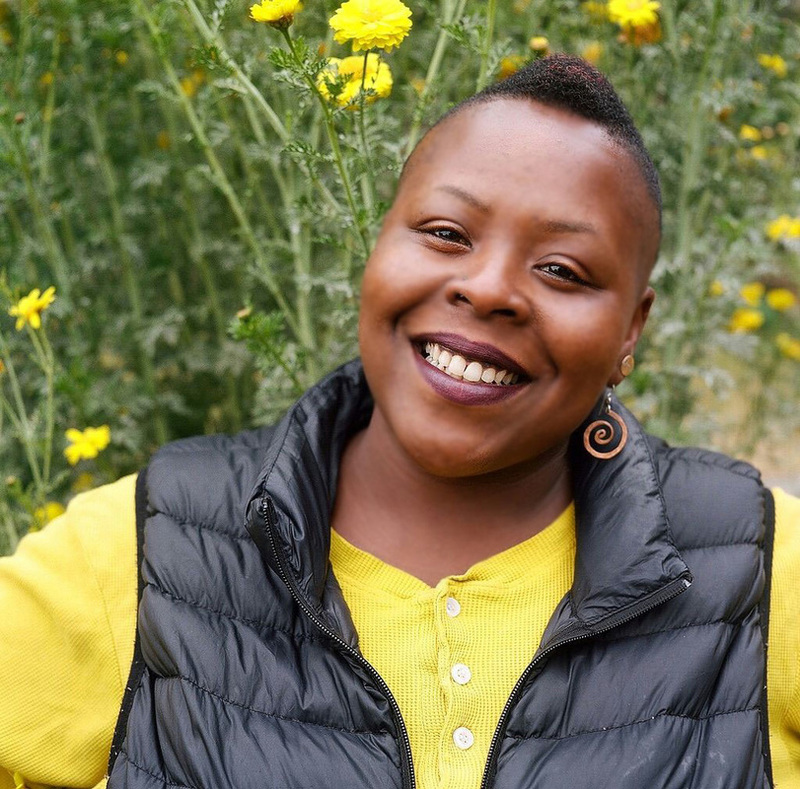 This experience led to the founding and directing of various Urban Farming and Healing projects in the San Joaquin Valley and greater bay area.. At age 16, Brandi gave birth to her first of now three daughters. Brandi’s thirst to protect her from some of the traumas she had experienced sparked her work in the fields of holistic medicine. Brandi relocated to Stockton in 1999 and founded the Holistic Health Center and the Ella Bee Project. The Holistic Health Center was a community facility that offered alternative wellness to underserved communities. Brandi’s mission was to “bring holistic health to the hood” Brandi published a newsletter, “Holistic Pathways”, as a way to spread and educate the community at large. After closing the doors of the center, Brandi developed and taught coping with stress for Wellness Works, a special project with Stanislaus State University for 8 years. Currently, Brandi is the CEO and National Director of The Butterfly Movement.